Traditionally, gas fireplaces have been the most popular but the new electric units with more realistic “flames” are growing in popularity. Still, it all comes down to your personal priorities, so here are pros and cons for both. Gas is less costly to heat with. This is especially true if you buy a unit that is AFUE rated at 80% or higher. Always use the AFUE rating for efficiency comparisons, as it’s calculated by an independent, third party. Other numbers may represent an operating efficiency, which is not the same thing as the AFUE, and can seem higher than the actual efficiency of the unit. Higher up-front costs. Since it burns gas, the fireplace will need a vent or a chimney. Like any gas burning appliance, it can generate carbon monoxide in the flue, so you should only use sealed combustion (also called “direct vent”) to make sure the entire system is airtight. This will also provide a bump in efficiency as it takes air from outside for combustion. Backup heat during a power failure. This is a definite plus that a gas fireplace can provide that an electric unit cannot. However, many gas fireplaces require electric power to operate the ignition system. So, if you want heat during a power outage, be sure to buy a fireplace that can operate without electricity. Best looking flame. Since gas produces an actual flame, it best mimics an authentic log fire. Electric heat is more costly. Electric heat from any appliance is more expensive than gas heat. Lower up-front costs. 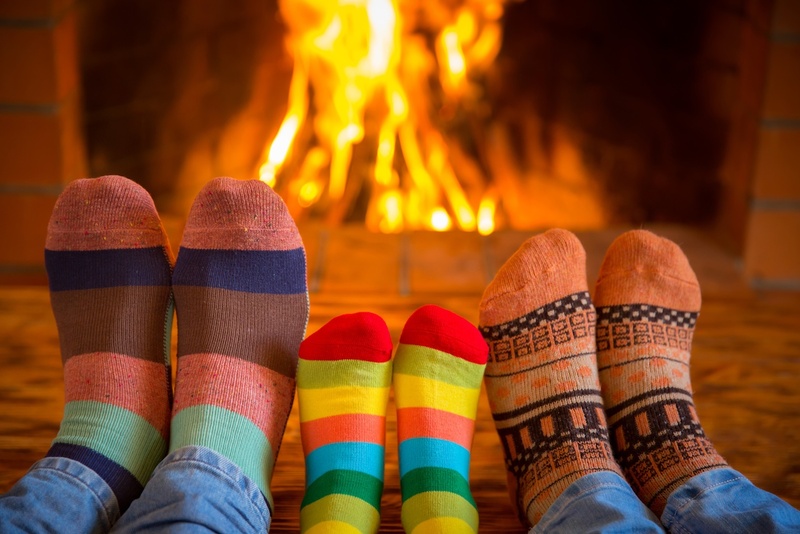 Since you won’t need a chimney or vent, and the fireplace itself is less expensive than a gas version, the electric route is a much lower cost investment. Not a backup heat source. If you’re looking for backup heat, electric just won’t cut it. Plus, since an electric fireplace needs power to run, it won’t operate during a power outage. If backup heat is your priority, gas is the right choice. Flame without heat. With the flip of a switch, you can have a fire without the heat. If a cozy fire without worrying about it getting too warm is what you want, then electric is the way to go. And since the heat can be controlled by a thermostat, an unattended room never needs to get too hot or too cold. Simulated flame. We’ve come a long way from a fan blowing strips of colored plastic to mimic flames. With the introduction of new simulated fire technology, many of today’s electric fireplaces look almost like the real thing. If having a flame without heat is what appeals to you, then definitely check out the visual effects of the new electric fireplaces.